Training that makes employees into better mentors has a valuable ripple effect, as those individuals go on to help their coworkers thrive. Mentoring is a “soft skill” but it can be learned. Coaching and mentoring can be important, formative experiences in personnel development, becoming as important to employees as more formal kinds of education. This raises the question of how organizations can foreground their mentoring programs and ensure experienced leaders have the background necessary to provide valuable advice and guidance to the next generation of employees. As with many applications of interpersonal “soft skills,” mentoring may at first appear to be an innate talent, but it can be definitively honed through training. Investing in training courses that turn workers into better coaches and mentors may have a valuable ripple effect, as these leaders help their mentees discover their own true potential. 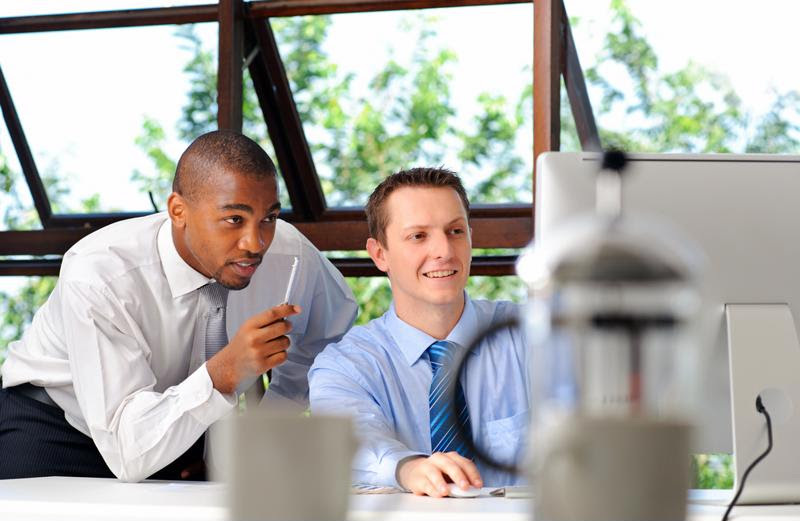 A mentoring program makes personnel development into a process with individual stakes. Robert Half pointed out that formal mentoring and coaching operations tend to focus on new hires and employees’ first months on the job, but the benefits conferred by these programs remain relevant far beyond this limited time. Organizations that want to make specific improvements to their developmental programs – for instance, improving workplace diversity by better retaining minority employees – may be surprised to find mentorship helps. Herrick & Struggles research, meanwhile, found companies with formal mentorship frameworks present better opportunities for minority employees to seek paths to grow their roles. Retention may follow naturally since meaningful advancement is one of the most desirable qualities an employer can possess. The study indicated that while mentorship programs see an average of 65 percent participation, ethnic minority employees participate at a 74 percent rate. Building a more inclusive workplace may be a great use for the person-to-person connections forged through mentorship. Another tangible benefit of mentorship and coaching may be decreased workplace stress, according to GQR. Today’s workers frequently encounter tension and difficulties, and may not know where to seek help. Having a trusted mentor on staff can give workers an outlet for their worries and a place to get good advice in a formalized framework. Without such a person to speak with, the worried employee may internalize the concern and become less productive, or even leave the company. What does a great mentor need to know? When trying to create a positive workplace culture, one conducive to both individual and group success, company leaders may find mentorship is a valuable building block. A recent OC Tanner survey found respondents have strong opinions about how leadership styles effect work culture. Some forms of management, such as pure top-down order-giving, do not suit workers’ idea of an ideal culture. Mentoring, on the other hand, is a net positive. Employees responding to OC Tanner stated they want to work for leaders who will mentor them, take interest in their progress and help them carve out spaces within their corporate cultures. The watchword here is guidance, with coaches and mentors offering the kind of care and engagement that more autocratic leaders don’t give. Organizations with formalized mentoring arrangements have made a public commitment to ongoing learning and development. According to GQR, this sends an important and positive message to workers. They know the company is interested in promoting individual success and foregrounding internal advancement because leaders are spending time helping individuals. This vote of confidence may make it easier for workers to commit to staying with a company in the long-term. What does it mean to be a mentor? Anyone can take this role. As the Herrick & Struggles research noted, mentorship relationships tend to be based on aspiration. Workers focus on individuals who have achieved levels of success they are aiming for and work with those individuals to reach similar heights. The survey noted that mentors and mentees typically have relationships that last fewer than five years. The bond between a coach and a newer employee is valuable for both parties, according to Robert Half. When a worker commits to mentoring, that individual will learn practical skills relating to leadership. Higher-ups may discover great candidates for promotion into managerial roles among the ranks of mentors. Since mentoring, aiding in personnel development and providing guidance to others are soft skills rather than hard technical knowledge, companies may not be offering training courses for those abilities. Courses do exist for these traits, however, and they may make a marked impact on employees who go on to help their teammates. Inspiring others and providing great motivation are skills that can be learned, and workers who train specifically in mentorship may find their newfound abilities relevant for years to come. Some of the most relevant courses for mentors may be those directly focused on the young employee experience. Members of generation Y and Z are coming from different backgrounds and conditions than the older employees they’ll work alongside. Mentors who understand the needs and expectations of these employees may act as valuable go-to resources when young workers have issues. This is a valuable role and one that may aid retention. This entry was posted in Office Culture, Professional Development and tagged coaching, employee development, employee mentor, mentor program, mentoring, training. Bookmark the permalink.